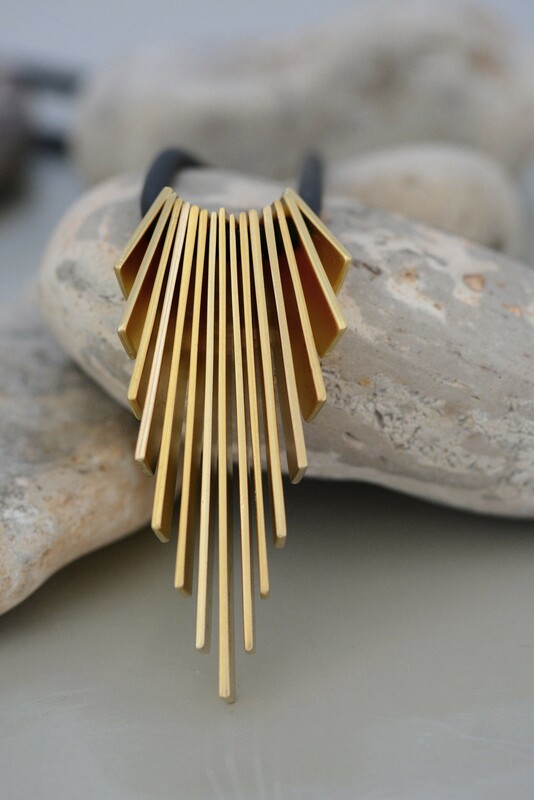 This matte gold color plated necklace is both memorable and fashionable. Wear this unique and incredible design to showcase your special sense of style. This stunning piece combines matte gold colored metal with black rubber to create a unique and incredible design. Custom-cut metal pieces are arranged in a triangle pattern, making this necklace a statement piece that is both memorable and fashionable. Choose this necklace when you want to showcase your style to the world.